Veloce ® cycling and bike rental company : Cycling Dolomites with Veloce bike rental on cycling lane in Cortina d'Ampezzo. 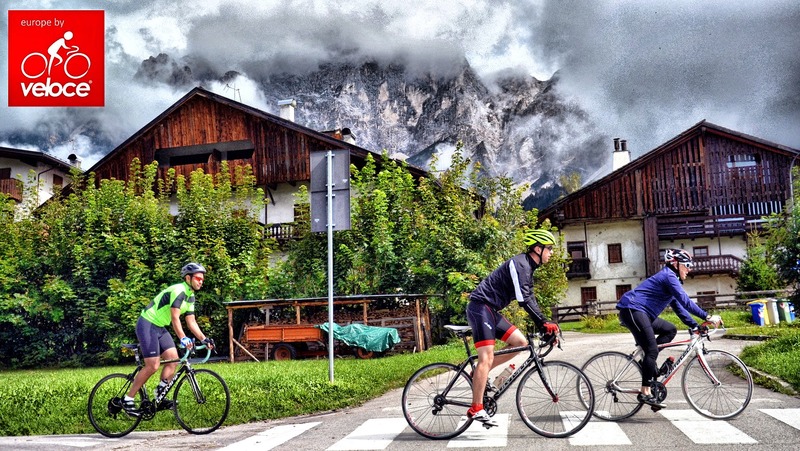 Cycling Dolomites with Veloce bike rental on cycling lane in Cortina d'Ampezzo. A shot from the cycling travel of our customers from Cortina d'Ampezzo to Venice in 3 days, by bike. This picture was shooted on first cycling day on the road from Cortina to Valdobbiadene where our customers enjoyed wine tasting and tour on Prosecco wine roads.